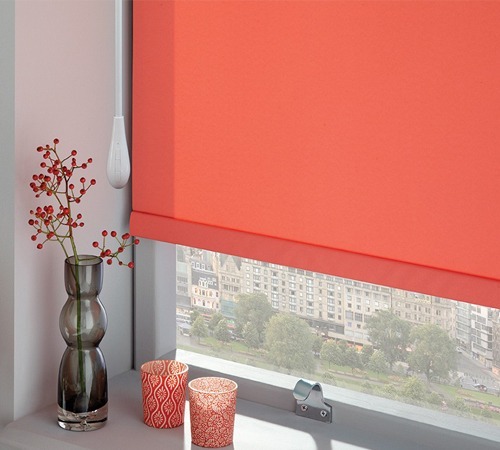 With a simple opening and closing mechanism, these blinds are easy to install and allow for a large amount of options when it comes to design and colour. Perfect for homes and offices alike, roman blinds are a popular choice for their refined simplicity and elegant style; fitting closely to your window to ensure minimal light leakage. Acting as a gentle filter for sunlight, sunscreen blinds are an excellent, stylish way to control how much natural light enters your home. As an added bonus, this controlled lighting also allows you a simple way to cut down on your energy consumption. A fantastic blend of style and practicality, timber venetians are a fantastic fit for those that like a little extra privacy in their homes. With several shades of white and timber and the ability to match your cords, valance and bottom rail for a more coordinated style, these blinds can be fitted flawlessly to large and small windows alike. As a versatile option that can accompany both sliding doors and windows, vertical drapes can be custom fitted to fit a wide variety of shapes and sizes. Our vertical drapes are made of low allergenic, fire resistant fabrics wherever possible, and are an excellent choice for families with animals, as single drapes are easy to replace if damaged. A stylishly sophisticated addition to any home, panel blinds provide a crisp, minimalist aesthetic that fits perfectly with practically any décor. Plus, with an exciting range of fabric textures, colours and prints to choose from, they are an excellent way to get creative! This uniquely eye-catching option allows you an enormous level of control over both your lighting and privacy by comprising of two fabric layers that can be moved independently of each other. Plus, with palettes ranging from dramatic metallic to natural woven effects, vision blinds can quickly become a stylish centrepiece of your home’s décor. Boasting a unique honeycomb-like structure, these shades are the ideal choice for those looking to save on their heating and cooling bills. This is because Whisper Cellular Shades trap in air, making it significantly easier to keep your home at the perfect temperature year-round. Get away from the glare without giving up your view with Whisper Sheer Shades! Made from a luxuriously elegant polyester fabric, these durable window dressings naturally repel dirt and dust, making them easy to clean and a fantastic option for those with allergies. A versatile style that has seen a resurgence in popularity over the last few years, aluminium venetians are a sleek, stylish and practical way to control your lighting and privacy. Designed with extra-thick metal, our aluminium venetians are some of the toughest, most durable blinds. Decorating the nursery or playroom? Looking for something special for your child? Our new children’s range feature, a fun collection of patterns and options to create a magical space. Wynstan’s blinds are all made with quality materials, selected for durability and strength, plus child safety devices installed on all blinds as standard. They are custom made to suit sliding, double-hung, and fixed windows. Wynstan favours low allergenic and fire-retardant fabrics, and can protect against bacteria, mould, and mildew with Scotchgard™ and Microban treatments. So, if you’re looking for an exceptional range of blinds in Sydney or Melbourne, contact us today for a free measure and quote!